Owning a boat is a hard-earned luxury anywhere, but the feel of slicing through waves on a luxurious yacht, sails taunt in the ocean breeze, bare feet on a padded sundeck? You may not have had the chance to sail out on your personal yacht, but you can still make that feeling come true. One option is to give Captain Tiger with VIP SUPER BOAT a call—he’ll see that you’ve got a seat on the Excalibur, a 43-foot Scarab off-shore speedboat powered by twin SS 502 engines with more than 1,000 horsepower, a padded sundeck and white cushions. Once aboard, the super-boat sets off for Diamond Head in search of whales, dolphins, sea turtles and a good time. This two-hour charter tour caters to a maximum of five passengers and includes hotel pick-up. hawai‘i yachts—the company has numerous gorgeous, opulent yachts available, as well as custom charters and bed-and-breakfast overnight stays on one of its glamorous rides. There are even personal chef services and an onboard spa package offer that provides champagne, pupus, massages and snorkeling in the beautiful blue pacific Ocean. Another is ELYATT YACHT CHARTER (elyatt.com). Featured on the Travel Channel, the Elyatt experience involves a luxury yacht picking you up right at your hotel, which then takes you aboard to set sail. Champagne glasses, a private chef, refreshments and over-the-water pampering at your fingertips, the Elyatt makes a fun romantic tour, holiday party or a luxurious “just because.” Offerings include dock parties, day, evening and vacation charters. 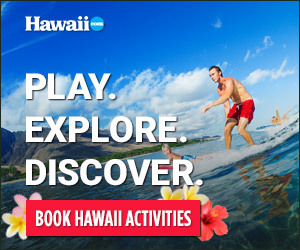 Find other providers in the Ala Wai Yacht Harbor, Honolulu and Waikiki Yacht Club vicinity.